Meal replacement shakes are popular amongst dieters, and for good reason. They are calorie-controlled, easy to grab-and-go, and provide a good balance of nutrients (if you pick the right one). Still, some critics say they are not the best choice due to high sugar content and short-term utility. 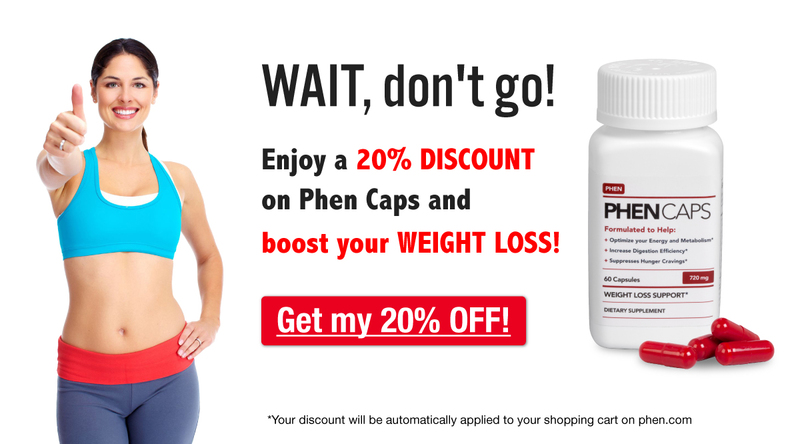 Either way, many phentermine users report drinking meal replacement shakes or protein shakes for at least one meal or snack during their weight loss journey. Here we’ll discuss the different types of shakes, touch on some arguments for and against meal replacement shakes, and give you a few pointers on choosing the best shake for you. Most people use these two terms interchangeably, but meal replacement shakes and protein shakes are very distinct products. It’s important to understand the differences so that you can select the drink that best fits your needs. Meal replacement shakes are drinks designed to replace a meal. They contain the protein, carbs, fat, and vitamins & minerals needed to sustain you until the next time you eat. A good meal replacement shake should have around 250-400 calories and at least as many grams of protein as carbs. Some products are specially formulated for weight loss, and studies have shown correct use of meal replacement shakes can help shred the pounds. Unlike meal replacement shakes, protein shakes typically contain many fewer calories and carbohydrates, plus little to no fiber or vitamin/mineral supplementation. Protein shakes are intended to supplement a full day of meals, or act as a snack between meals – not replace meals. This is the reason we often see people drinking protein shakes at the gym, or in the times between major meals. They are not formulated as meal replacements. Most commonly, protein shakes come as pure protein (or high protein, low carb) powders that the user mixes with water or milk. Meal replacement shakes have a lot of fans, but they also have a lot of critics. Here’s a little more information about the pros and cons to evaluate when you’re considering these liquid meal substitutes. Liquid meal replacements can be a great resource for dieters for a variety of reasons. (1) They’re convenient. Meal replacement shakes – especially the pre-mixed/pre-packaged variety – are a great grab-and-go meal option. Whether you’re busy at work, running between activities with your kids, or just never seem to wake-up in time for breakfast: meal replacement shakes can be a fabulous, quick meal. Better yet, most brands don’t require refrigeration (even though they do taste better cold!) so you can throw a shake in your bag and “eat” your meal whenever you have a free moment. Instead of skipping meals, reach for a nutritious shake. Lots of people also like to keep extra shakes at work or home in case they skip a meal. Sometimes we don’t have the flexibility to leave and buy or cook a healthy meal midday. In these moments, an extra meal replacement shake can come in-handy to help you resist the vending machine temptation when hunger strikes. They’re also relatively easy to digest if your stomach is feeling off. (2) They’re a set portion. One of the hardest parts of eating healthy is keeping your portions in check. It gets even harder when you’re in a hurry. Meal replacement shakes are great because they are already portioned and labelled so you know exactly how many calories and carbohydrates, and how much protein, you’re getting in each bottle. (3) They’re effective. Studies show that people who replace 1-2 meals per day with meal replacement shakes lose more weight than those who follow traditional, calorie-restricted diets alone. After one year, participants using shakes lost an average of 2.4 to 3.4 kilograms (5.3 to 7.5 pounds) more than participants on a calorie-reduced diet alone. Meal replacement shakes also have their disadvantages. Many critics lament the fleeting use, high cost, unnecessary sugar content and processed nature of meal replacement shakes. (1) They’re short-term. Some people disapprove of meal replacement shakes for weight loss because people use the shakes while they’re actively dieting, but then usually go back to solid food when they stop abstaining. The argument is that meal replacement shakes allow you to simply replace a meal, while minimizing the need to organically establish healthy habits. Although this might be true in some cases, if used in combination with healthy meals and snacks, meal replacement shakes can form part of a healthy meal plan for weight loss. (2) They’re high in sugar. One of the biggest problems with meal replacement shakes (and bars) is that they can be very high in sugar. Supplement companies add lots of sugar (and sometimes fat) to make the products taste better. While delicious, this does not make for a nutritious meal replacement. Make sure to check the nutrition label for sugar content when selecting a product, and favor drinks/bars with lower sugar content. (3) They’re expensive and processed. Meal replacement shakes are often sold as pre-mixed/pre-bottled products. Like most single-serve foods, this makes them more expensive. For added convenience, many producers also add stabilizers and/or preservatives to makes the shakes shelf-stable. Some critics disapprove of store-bought meal replacement shakes for these reasons. We’ve talked a lot about different types of shakes, and why they’re good or bad… but how do you know which one to buy? Check out this quick chart on picking the best meal replacement shake for you! Calories first: a good meal replacement shake should contain around 250-400 calories. Since you’re using this drink to replace a meal, it should have similar caloric content to a light meal. Shakes with fewer calories aren’t usually the best choice because they don’t provide the fuel you need to make it until the next meal. They leave you vulnerable to growing overly-hungry and overeating at the next meal, or not eat enough calories during the day. That being said, if you typically have a small breakfast in the early morning and then eat another significant meal again before lunch, one of these lower-calorie “snack-sized” shakes could be a good option for you. The quantity of protein is also important to ensure that you’re giving your body the nutrients it needs during your weight loss journey with phentermine. The general recommendation for protein is about 0.8 grams of protein per kilogram of body weight, or at least 60 grams per day. While losing weight, it’s very important to consume enough protein so that you can maintain and build lean muscle mass. For that reason, aim for shakes that contain a minimum of 15 grams of protein and at least a 1:1 ratio of protein to carbs. If the meal substitute is high too in carbs and doesn’t contain enough protein, the drink probably isn’t providing enough muscle-building fuel. Likewise, check out the carbohydrate content of your meal replacement. Carbs are necessary and give us the short-term energy we need, but can easily become too much of a good thing. Pay special attention to the carbohydrate contribution from sugar. Many meal replacement shakes contain a lot of sugar to make them taste good. When choosing a beverage, compare brands and select one with less sugar. If you’re following a low-carb meal plan, there are also a wide variety of carb-controlled/low-carb options that have lower carbohydrate and sugar content. Finally, meal replacement shakes should contain healthy fats, fiber and vitamin/mineral supplementation. Look for products with healthy fats, and little or no saturated and trans fats. Many shakes contain added fiber to help regulate your blood sugar, promote satiety and keep things moving through your GI tract. Look for options that provide this extra boost of fiber. Lastly, take advantage of products that provide supplementation of vitamins and minerals to make your drink the best option possible for weight loss support. If meal replacement shakes seem like a great option for you, make sure you take into account these special considerations before committing to drinkable meals. Only replace one meal per day. Limit your use of meal replacement shakes to 1-2 meals per day unless you are under direct medical supervision. Complement the shakes with balanced meals and snacks throughout the day. Replace your worst meal. Identify which meal you’re most likely to skip (or make unhealthy choices) and plan to drink a shake instead. Tailor your shake choice to your specific needs. Read the nutrition label on your shake just as critically as you read nutrition labels on your everyday food. Don’t assume that the drink is automatically healthy (or compliant with your diet) just because it is a meal replacement shake. Don’t choose based on taste. Taste is important, but nutrition is more important. If you don’t like the nutritious shake’s taste, try adding ¼ teaspoon sugar-free jello. For example, orange jello in a vanilla shake makes a delicious creamsicle flavor! Freezing your shake can also make your everyday shake taste more like a milkshake. Do you use meal replacement shakes or protein shakes? Share your thoughts and experiences with us in the comments section below!